A musical concept where well known classical compositions are blended by three expert musicians into a swinging, easy listening experience in the style of Jacques Loussier. 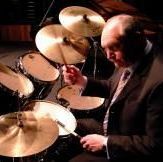 Ken McCarthy studied composition at the Guildhall School of music and played in the experimental bands of Mike Westbrook, John Surman and Mike Osbourne. He later based himself in Amsterdam and toured Europe and Japan with many visiting American Jazz stars. He broadened his horizons to TV and recording sessions and orchestral work. He has also developed a career as a musical director and arranger, his credits include many West End shows including – “Bubbling Brown Sugar”, “42 Street”, “Barnum” and “Joseph and his Amazing Technicolor Dreamcoat”. 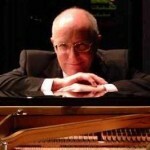 Ken has also been personal accompanist and director for Dame Vera Lynn, the late Roy Castle and singer Vince Hill. He is also responsible for most of the trios unique arrangements. 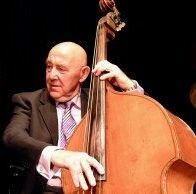 Dougie Henning is a very experienced bassist with a career of 45 years as a professional musician. Being a session player in the 60s playing on four number 1 hit records, numerous albums, BBC Parade of the Pops, and most of the Big Bands of that era. Then to the BBC Midland Light Orchestra. Later touring as musical director for the “Three Degrees” through all their hit period. Also travelled the world as accompanist with Lulu, Diana Ross and toured Europe supporting Frank Sinatra. Was a member of the BBC News Huddlines team for all its 26 year run. More recently he was a member of the orchestra of the London production of “Cats” for the last 18 years of its 21 year run. Paul Shepherd is the “baby” in the trio with a mere 30 years experience. Again a hugely experienced player ranging from BBC Radio Big Band, numerous TV and Radio (BBC) sessions. Worked in many West End shows and touring productions including currently Seven Brides for Seven Brothers. He has a longstanding interest in the relationship of the great composers and the manner in which their ideas have evolved into music today. 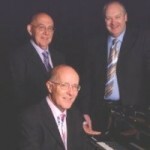 Paul has a huge enthusiasm for the trio’s aims in portraying this musical evolution in a modern manner to our audiences.